We’d love your help. 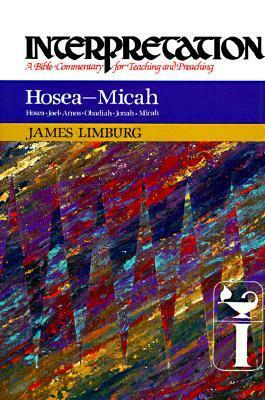 Let us know what’s wrong with this preview of Hosea--Micah by James Limburg. James Limburg introduces the first six of the minor prophets and provides a commentary that relates to today's world. He demonstrates why attention should be given to the words of these prophets as they communicate the word of God. Interpretation: A Bible Commentary for Teaching and Preaching is a distinctive resource for those who interpret the Bible in the church. Planned James Limburg introduces the first six of the minor prophets and provides a commentary that relates to today's world. He demonstrates why attention should be given to the words of these prophets as they communicate the word of God. To ask other readers questions about Hosea--Micah, please sign up.